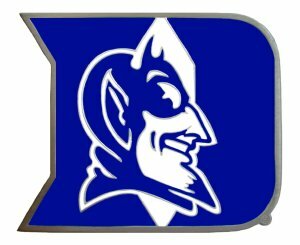 In most respects, I’m not happy about Duke winning the title over Butler last night. But in one very key area, the Blue Devils’ championship was helpful — it saved me the time of having to go back and figure out who would win the Fifth Annual Uncle Crappy NCAA Final Four Challenge if the Bulldogs came out on top. As I said a week ago, there were a number of you who picked Duke to win the championship, but just one among the Dookies also picked the WVU-Duke semi-final game. And that, boys and girls, means Mr. Burns has won his unprecedented third AUCNFFC title. This is especially intriguing, because of his general reluctance to enter the contest — his initial response this year was a request that I pick his entries for him — but depsite the incessant foot-dragging, he’s been pretty good when it comes to the results. I’ll get in touch with Chris this week, and we’ll figure out how to get his fabulous prizes to him as quickly as possible. Thanks to all of you for playing — we keep adding more contestants every year, and I’m grateful that you guys keep coming back. And a special thank-you goes to Chris and Bocktown, for making sure the AUCNFFC prize — a $30 Bocktown gift certificate — was actually fabulous this time around. As most of you know, Chris runs one of the best beer destinations anywhere, and it’s worth the trip to the Robinson-North Fayette Retailoplex, whether you won or not. I have your number, Crappy. Bracketology. Simpsons trivia. Etc. UC, If your fabulous prizes are actually going to be fabulous, we’ll all be trying a lot harder next year. And, Congrats to Mr. Burns, the first winner of the “Actually Fabulous, Fabulous Prizes”.